Some of my pages have links to other web sites that are relevant to stamping and scrapping. You may like to check them out to get more information and lots of ideas. If you want quality stamping and scrapbooking products available to order on-line , check out the The Stampin' Up! 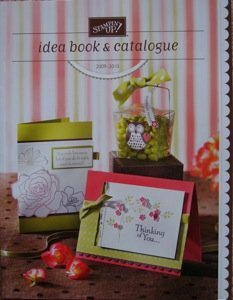 Idea Book and Catalogue for card stock, stamps, papers, embellishments, inks, ribbons etc. Learn how to scrapbook even if you are a beginner. Lots of free information, scrapbooking sketches and videos for ideas and inspiration. To stretch the imagination beyond paper crafts, visit this site. You can find many free craft projects for any skill level on this site. Learn how to make original arts and crafts for fun and profit. You will find many different ideas to work with. Visit The Artful Crafter site to find free ideas about scrapbooking, layouts and scrapbooking tools.